The #1 bag design in 2009 is now a fab Zipper Pouch. Art: Colin Johnson. 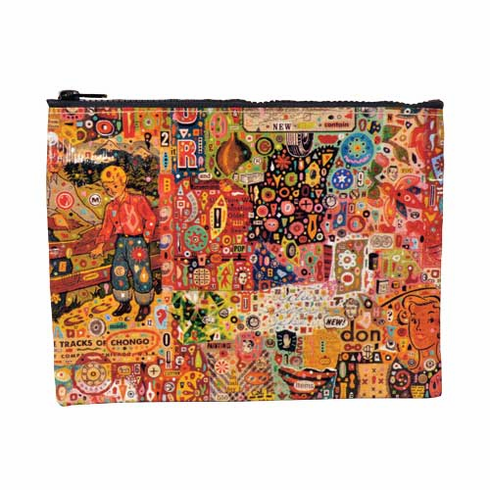 9.5"w x 7.25"h. 95% recycled post consumer material has a crushed, wrinkled look when sewn into Zipper Pouches. This is normal for the high recycled content.